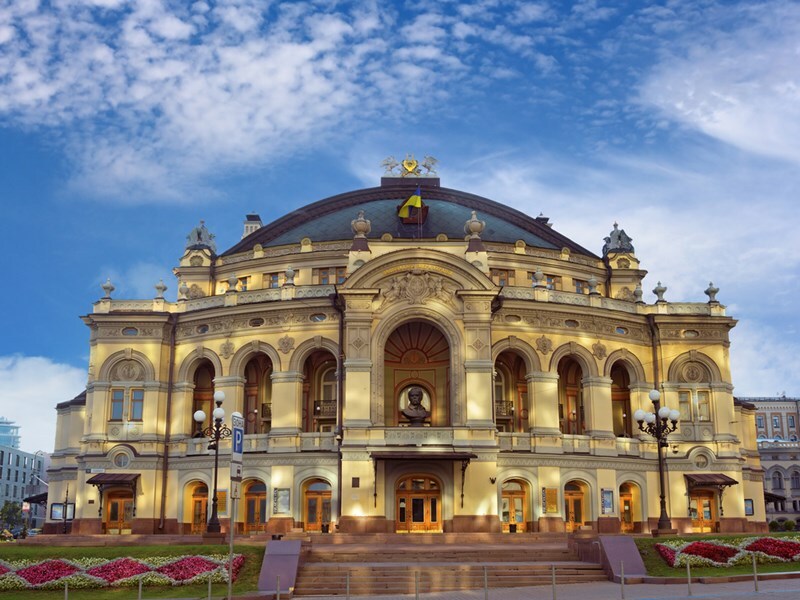 Explore the historical attractions of Poland and Ukraine and know about the fascinating history of some amazing places. 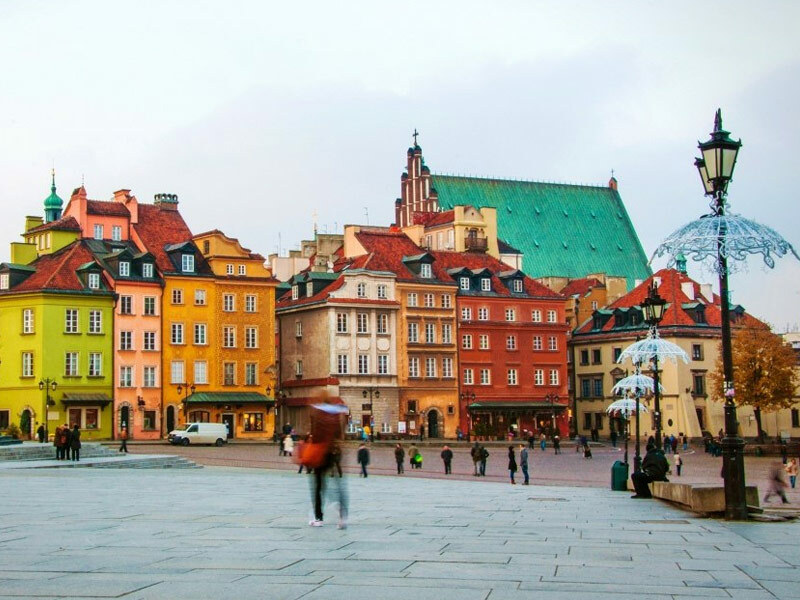 This Europe Vacation Package will cover three of Poland's greatest cities - Warsaw, Wroclaw, and Krakow and then journey on to Lviv and Kiev in Ukraine. You’ll be traveling between the cities mostly by train, thus passing through glorious countryside, before immersing yourselves in historical squares, medieval buildings, trendy pavement cafes, and micro-breweries. Today your Poland journey begins as you arrive in Warsaw-Chopin Aiport and then check-in to your hotel. 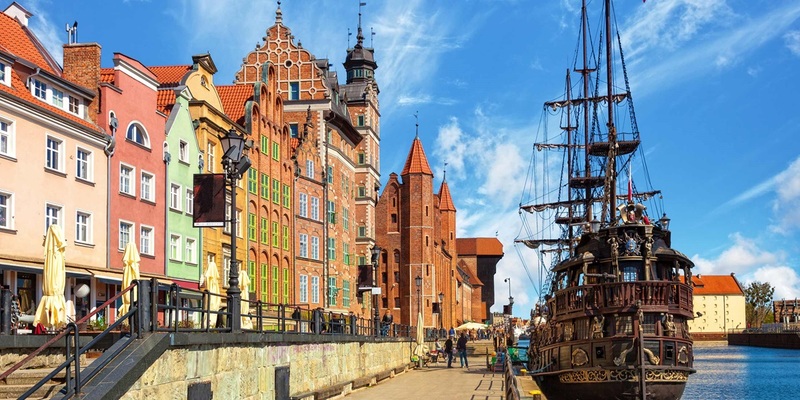 The capital city of Poland is beautifully dynamic and modern, but reminders of its tumultuous history are easy to uncover. After World War ll, approximately 85% of its buildings were left in ruins. 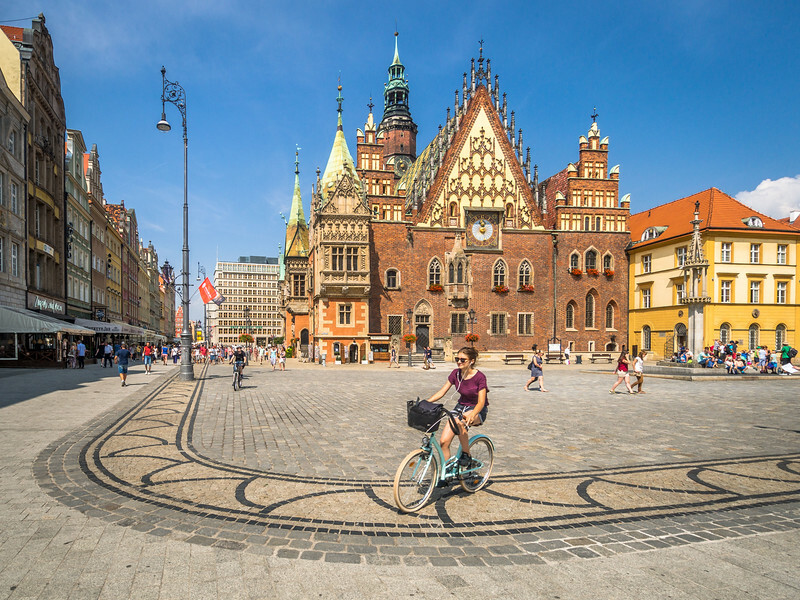 Although, the city now has been impressively rebuilt and restored wonderfully to its former glory with the Old Town and Stare Miasto as its centerpiece. Street artists, buskers, and open-air cafes give the area distinctive energy and atmosphere, making a visit here a little bit more special. This morning, you’ll make your way to explore the Old Town district on foot. 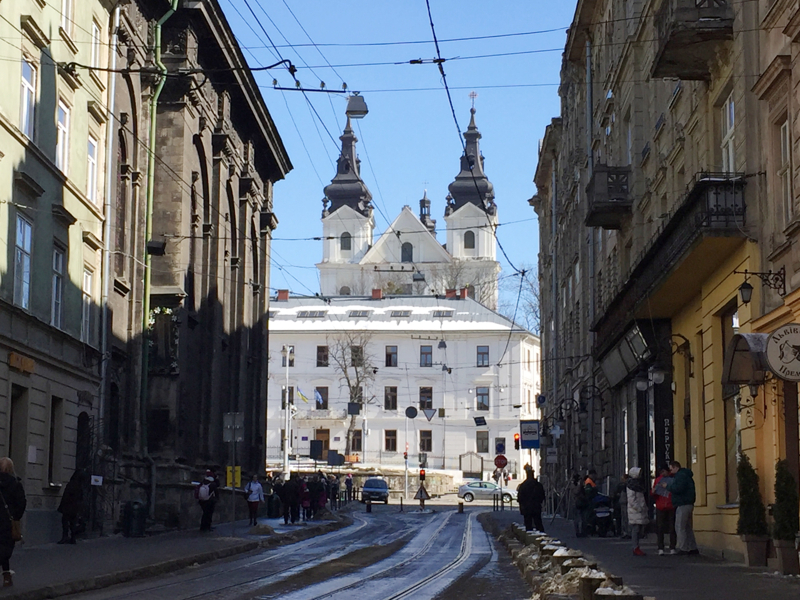 With historic squares, cobblestone streets, and Gothic churches, it is quite easy to understand why the Old Town is on top of every tourist's 'must see' list. You’ll be visiting all the main sites such as the Lazienki Palace and the 17th-century rust red Royal Castle with its marvelous architecture and lush gardens. Later in the afternoon, Warsaw has plenty of options to keep you occupied in case you wish to continue exploring the city center on your own. Alternatively, you can also visit the spectacular 17th-century Wilanow Palace, famous as the 'Polish Versailles', or the captivating Museum of the History of Polish Jews, which was designated as the European Museum of the Year in the year 2016. 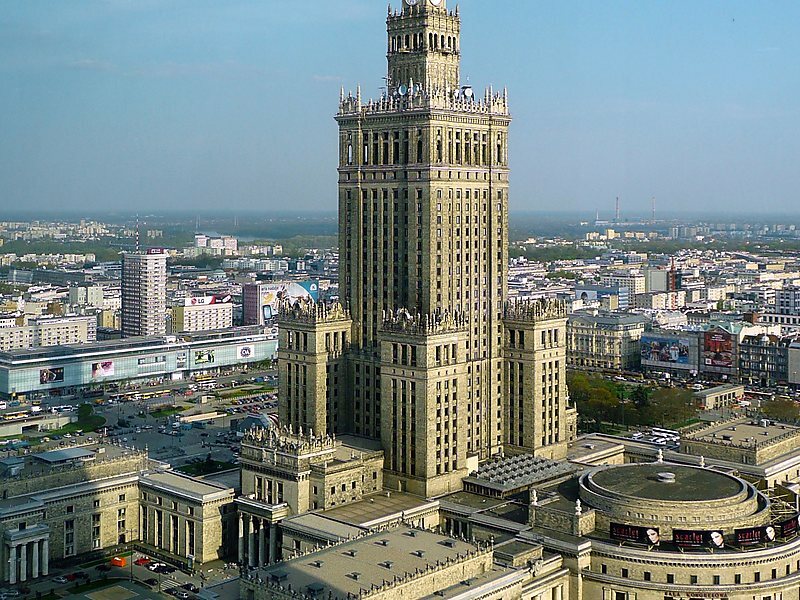 Another famous choice is the Warsaw 1944 Rising Museum, a tribute to the native residents who had fought for their independence against German occupation. One of the displays here features a Liberator B-24J bomber aircraft’s replica. 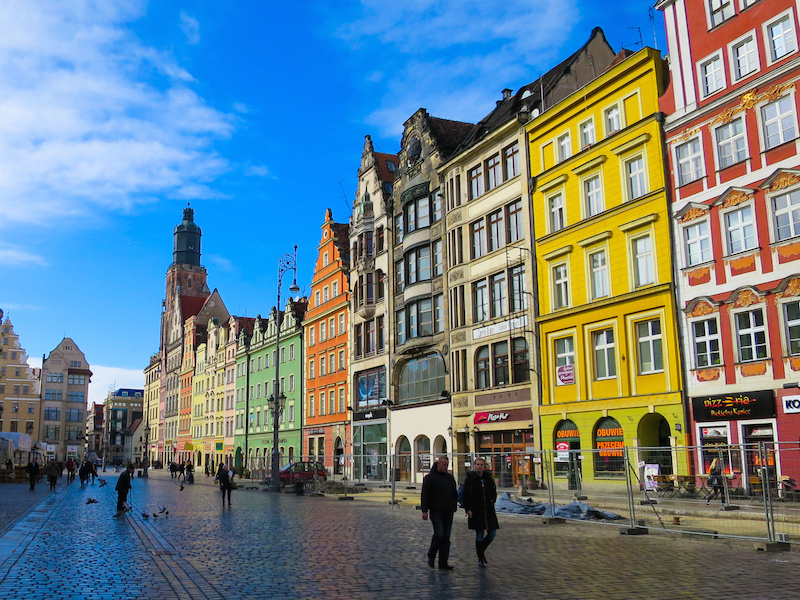 Today morning, you’ll board a train to Wroclaw, famous as the 'Venice of Poland'. It is a pleasant old city that is built on 12 islands surrounded by rivers and canals. Over 120 bridges link the islands which are decorated with charming buildings reflecting the city's past. You'll get to witness Hungarian, Bohemian, Austrian, German, and Prussian influences as the city have been desired by all of these empires throughout its long history. 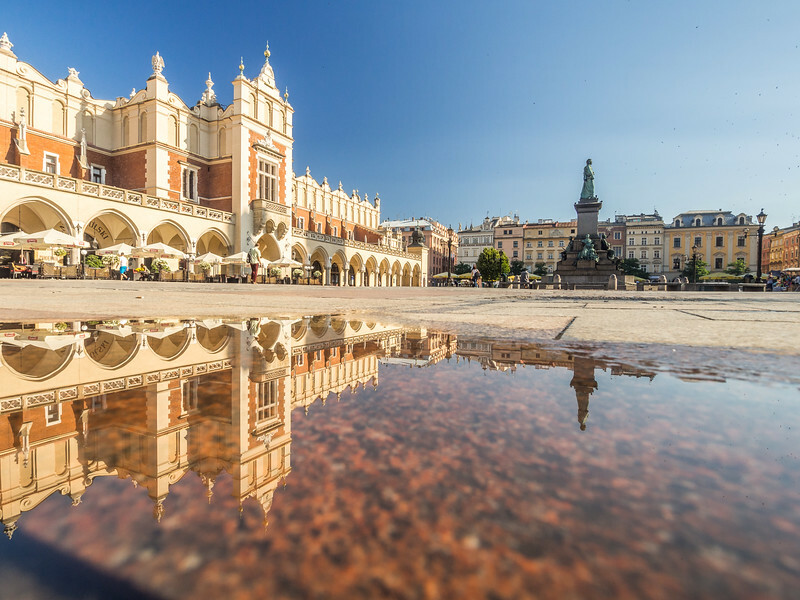 This morning, you’ll be heading to Krakow, the capital of Poland until 1596 and still its most pleasant city. Dating from the 13th century, Krakow is a picturesque city having narrow streets, majestic buildings and al-fresco cafes. In the afternoon, you’ll uncover the city's delights with a visit to the wonderful Rynek Glowny, the largest medieval square in Europe. The square is very much at the heart of Krakow local life. Eccentric townhouses and historic buildings embellish the square with the most popular being the Sukiennice, a huge cloth hall where goods would have been sold in ancient times and is still in use now as a covered market. Discover inside vendors peddling a host of local wares from beautiful amber jewelry to wooden toys. 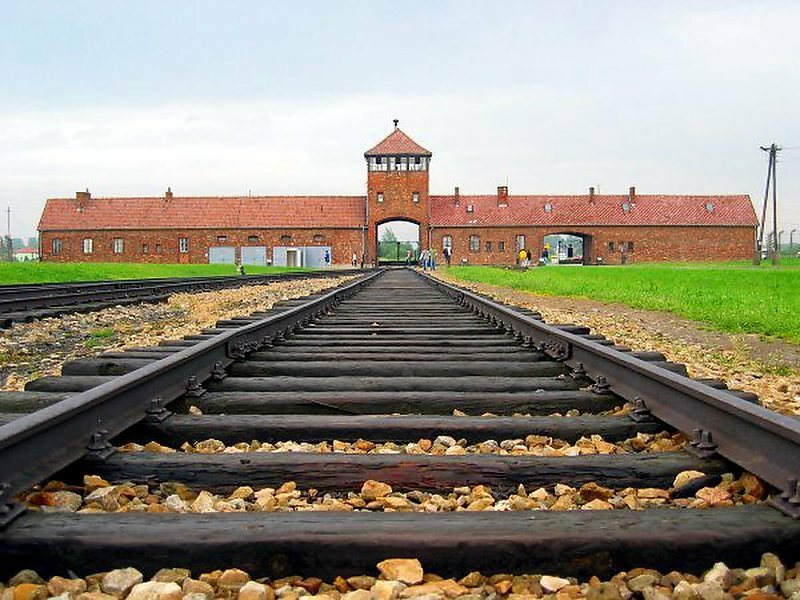 Today, you are free to discover more of Krakow or may choose to join an excursion to Oswiecim, the place of the Auschwitz-Birkenau Concentration Camp. Note that it’s a haunting and eerie place that drives home the dreadful obscenity which took place here during World War II. In the afternoon, get ready to visit the UNESCO listed Jewish Podgorze District, the place of the Jewish Ghetto in World War II and also the setting for the film 'Schindler's List'. En route, you’ll grab a 'zapiekanka', which is an open-faced toasted baguette sandwich, popular local fast food option. While in the area, you'll also have the opportunity to visit the Schindler's Factory, Old Synagogue, and the Museum of Jewish Life, which provide captivating insights into the life of Krakow Jews and the war years. Later in the evening, you’ll end today’s tour with a traditional Jewish dinner. After dinner, you can explore a few local bars and pubs to give yourself the chance to try the typical Polish beers and the exhaustive local vodka varieties. This morning, you’ll depart your hotel and will be transferred to the bus station to board your public bus for Lviv. Upon arrival, you’ll be transferred to your hotel and after check-in, get ready to go on a guided walking tour. Discover the history and splendid architecture of the old quarter and en route, witness the old market square of Ploshcha Rynok, the Dominican Church, the ornately carved exterior of Boyim Chapel, and Monastery and the Citadel Inn. The inn was initially built in 1850 as a circular red fort that became a Nazi concentration camp during World War II and was referred to as the 'Tower of Death'. Today it has remarkably been turned into a five-star hotel! You’ll also witness the Old Rus Quarter of the city and the High Castle, which offers amazing views over the city below. 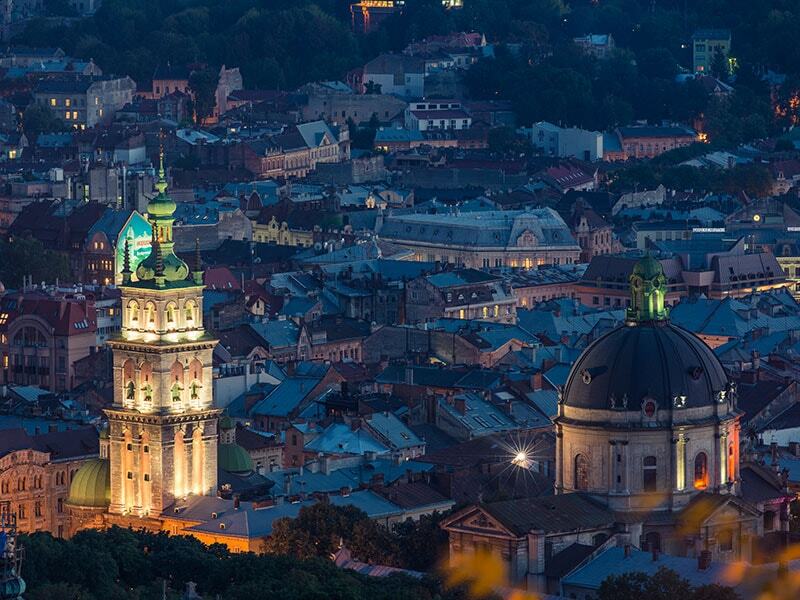 Lviv is home to three different cathedrals - the Armenian Cathedral, Latin Cathedral, and Saint George's Cathedral. All the three vary greatly in style. Lviv is an ideal spot for relaxing. Among the cobbled streets with their adorable red-roofed buildings and tucked away courtyards, you’ll discover a variety of good cafes, bars, and restaurants. Today, you’ll be driven to Kiev, the capital city of Ukraine. It is located on the banks of the River Dnipro. In the afternoon, get ready to embark on a guided walking tour of this ancient city, which has been occupied for almost 2000 years and once, used to be the capital of the Kievan Rus State. Though Ukrainian nationalism is quite stronger, you will still get to hear Russian being spoken here today. During the tour, you’ll see the Golden Gate which was once the main entrance to the city, the onion-domed exterior of Santa Sophia Cathedral, Saint Andrews Baroque Church and Mother Motherland, which is a 100-meter high statue built to honor the heroes of the Soviet Union. 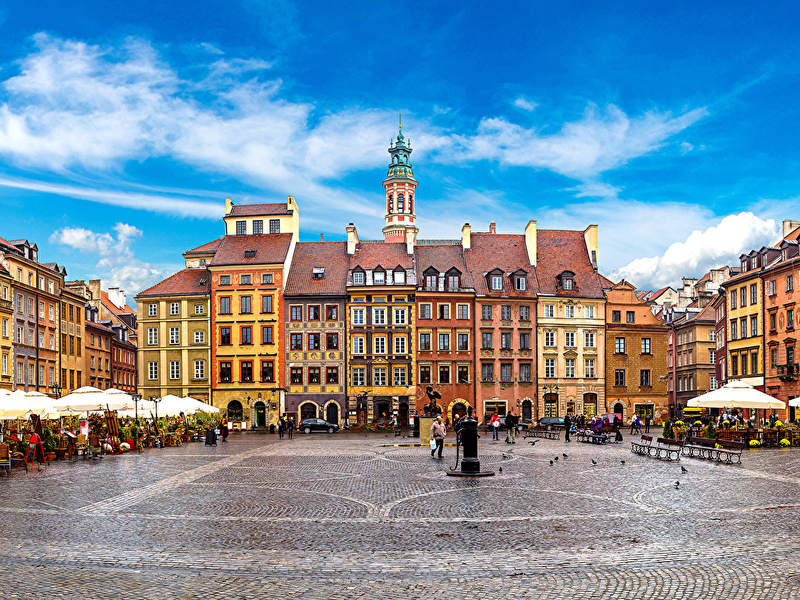 If you have any queries regarding traveling in Poland or planning a visit to the country, you can fill out the inquiry form or contact us at Priyanka.sharma@Leisure.com and we’ll try to answer them for you as soon as possible. For more travel inspiration, read all our articles for some amazing trips around the world.